You will find below the horoscope of Caroline Flack with her interactive chart, an excerpt of her astrological portrait and her planetary dominants. Horoscopes having the same aspect Sun sextile Ascendant (orb 0°04'): Christina Aguilera, Drake (entertainer), Sophie Marceau, Bob Marley, Nicolas Hulot, Salvador Dalí, Dakota Fanning, Lorde, Jean-Paul Belmondo, Conor McGregor, Lance Armstrong, Aristotle Onassis... Find all the celebrities having this aspect. Horoscopes having the same aspect Sun trine Moon (orb 0°37'): Harry Styles, Emma Watson, Prince Harry, Duke of Sussex, Whitney Houston, Adam Levine, Alicia Keys, Winona Ryder, Evelyne Dheliat, Marie Curie, Johnny Cash, Andy Warhol, François Bayrou... Find all the celebrities having this aspect. Celebrities clicked on in real-time: 576,050,308 times. Caroline Louise Flack (born 9 November 1979 in Enfield (birth time source: Sy Scholfield, Astrodatabank, biography)) is an English television presenter, known for presenting I'm a Celebrity.. Get Me out of Here! NOW! from 2008 to 2010 and The Xtra Factor since 2011. Flack got her first television break playing Bubbles on the sketch show Bo' Selecta! in 2002. She then went on to present the International Pepsi Chart Show, before moving to Channel 4 where, in 2005, she presented links between videos on E4 Music and co-presented The Games: Live at Trackside on E4 alongside Justin Lee Collins. She also had a regular segment in the video games show When Games Attack in 2005. Here are some character traits from Caroline Flack's birth chart. This description is far from being comprehensive but it can shed light on his/her personality, which is still interesting for professional astrologers or astrology lovers. 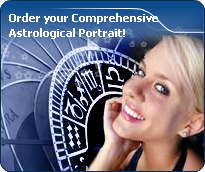 In a matter of minutes, you can get at your email address your astrological portrait (approximately 32 pages), a much more comprehensive report than this portrait of Caroline Flack. Caroline Flack, the nocturnal North-eastern quadrant, consisting of the 1st, 2nd and 3rd houses, prevails in your chart: this sector favours self-assertion and material security to the detriment of your perception of others. You consider self-transformation to be a hazardous adventure. You are inclined to seek stability and you tend to protect yourself with your actions. Possession, acquisition but also communication, without opening up too much, are part of your deep motivations. You are rather autonomous and constant, however it is important that you pay more attention to others, so that you can improve your outcomes. Caroline Flack, Fire is dominant in your natal chart and endows you with intuition, energy, courage, self-confidence, and enthusiasm! You are inclined to be passionate, you assert your willpower, you move forward, and come hell or high water, you achieve your dreams and your goals. The relative weakness of this element is the difficulty to step back or a kind of boldness that may prompt you to do foolish things. Like the majority of Earth signs, Caroline Flack, you are efficient, concrete and not too emotional. What matters to you is what you see: you judge the tree by its fruits. Your ideas keep changing, words disappear, but actions and their consequences are visible and remain. Express your sensitivity, even if it means revealing your vulnerability. Emotions, energy and communication must not be neglected; concrete action is meaningless if it is not justified by your heart, your intellect or your enthusiasm. The Mutable mode is the most emphasized one in your natal chart, Caroline Flack, which indicates a mobile character that is curious and thirsty for new experiences and evolution. You are lively and flexible, and you like to react quickly to solicitations, but don't confuse mobility with agitation, since this is the danger with this configuration - and with you, stagnation is out of the question. Security doesn't matter as long as you are not bored. You optimize, you change things, you change yourself... all this in a speedy way. Cadent houses, namely the 3rd, 6th, 9th and 12th houses, are very emphasized in your chart, Caroline Flack. They indicate important potential for communication, adaptability and flexibility. These houses are symbolically linked to the mind and intellect. The relative weakness implied by these characteristics indicates your tendency to hesitate or to be indecisive, but also your remarkable ability to start off again, which is a nice quality, finally: you can easily get yourself out of a tight spot thanks to your mobility and casualness, in the best sense of the term. This group of houses corresponds to evolutionary characteristics of your personality. However, they are only indications and you must include them in the rest of your chart in order to see whether they are validated or not! After this paragraph about dominant planets, of Caroline Flack, here are the character traits that you must read more carefully than the previous texts since they are very specific: the texts about dominant planets only give background information about the personality and remain quite general: they emphasize or, on the contrary, mitigate different particularities or facets of a personality. A human being is a complex whole and only bodies of texts can attempt to successfully figure out all the finer points. Affectivity and intuition are very developed, Caroline Flack, and you are very sensitive to your environment. You “feel” atmospheres, moods and other people's emotions and when you capture negative influences, a feeling of ill-being immediately overwhelms you, all the more so because your lively imagination may destabilize you as it amplifies your receptiveness. Your nature is anxious and you tend to worry for your entourage. You strive to offer them a reassuring family atmosphere, the much needed comforting and warm sort of cocoon where you can laze around, at will. Because you care so much for your family, they may think that you are intrusive and that you try to rule their life through subtle affective blackmail. Trust them... and also learn to have more confidence in yourself! Your thirst for learning is considerable, Caroline Flack, and you can spend a lifetime studying languages, geography, philosophy and law, particularly. You are open-minded and you want to abolish all kinds of frontiers. The humanist, who is dormant in you, may turn into a “frequent traveller” reaching out to others in order to understand them and communicate with them. You express your opinions and your beliefs with honesty and clarity and likewise, you receive others' views with enthusiasm. You have numerous centres of interest and you may be perceived to be superficial, heedless and over-optimistic. However, if you manage to control your tendency to scattering, all your encounters, all your discoveries can positively influence your philosophical life approach. On the affective plane, Caroline Flack, you are open, straightforward, spontaneous and you make friends easily because your enthusiasm is expressed jovially, directly and is respectful of well-established moral values. In some cases, you may be opposed to your natal environment or to your family because of your taste for freedom, exoticism or all forms of independence and emancipation. Your feelings are burning and you often get carried away quickly. However, your ability to make friends easily is likely to favour some instability; in order words, faithfulness is not your top priority as long as you have not yet found your soul mate. Ideally, for you, life together must have some degree of mobility and include travels and fresh air. Within your relationship, you need to feel freedom and independence, which you need since your childhood. Under such conditions, harmony and faithfulness can be achieved. The ruler of the Ascendant, Caroline Flack, is Mercury. It is posited in the sign of Sagittarius and gives you a strong inclination for the open sea and for freedom. Loyal and benevolent, you put things into perspective, and you understand the true value of things, perhaps precisely because you travel - whether actually or mentally - and that stepping back from your intimate environment enables you to better perceive what is important and worthy. What an energy, Caroline Flack! You take so many initiatives, you have so much strength for action, construction and struggle! You are part of the conquerors, loyal and concerned about panache. Your vitality is such that you can achieve your objectives and release all your creativity. However, you are so proud and so unyielding that you cannot tolerate the faintest annoyance on your way: if you are vexed, you may turn into the opposite direction as a matter of reaction. Sexually, your magnetism and your energy work wonders. You are not complicated and, as long as your slightly domineering nature is respected and you are granted due admiration, all goes perfectly well. You usually have a lot of self-confidence and you believe in you. This characteristic feature may turn you into a hero with Hercules's strength and solar charisma. This text is only an excerpt from of Caroline Flack's portrait. We hope that it will arouse your curiosity, and that it will prompt you to deepen your knowledge of astrology, as well as to visit and use the wide range of free applications at www.astrotheme.com. Your Life Path is influenced by the number 1, Caroline, which often prompts you to have an active and sometimes original life. 1 is the number of creativity and indicates individual destinies which are achieved at the cost of personal efforts because, although the path may lead very far, it climbs steeply upwards. You need to learn to manage your life with a strong willpower while using your own resources. It is most likely that you reach the best of your possibilities if you choose a free-lance occupation, or anything which allows a lot of personal initiatives. You really need freedom of action. You prefer to innovate rather than to follow the trend, and to create rather than limiting your activities to repetitive tasks. Thus, your life may be theatre of spectacular twists and turns, all the more so because the more you progress, the more your indecisiveness fades away. In such conditions, it is necessary that you strive to maintain a minimal degree of stability in the course of your life.